Supplying horses and the film and TV industries is the core of our business. We have supplied horses for major Hollywood movies, as well as for productions closer to home such as Eastenders. A beautiful white mare for your special day, premier providers of horses for hundreds of weddings around the country in a variety of settings. We have been supplying horses to associations that are all battle trained and used to gunfire, cannons, swords and shields. 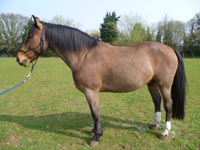 Here at Film and TV Horses we supply absolutely top quality horses for the Film, Television and Modelling industries. Our horses are appropriate for nervous and inexperienced riders and well trained actors who ride regularly, as well as professional stunt men and women. We can supply horses, equipment - and even riders if needs be - for battles, jousting shows, driving and all other types of action work. Horses are also supplied for events and asian wedding ceremonies, please contact us for more information.